If you are looking for a reliable, affordable and trustworthy commercial electrician in Brisbane who get the job done when they say they will, Unified Electrical are the team for you! Our fully licensed, local Brisbane electricians provide the full range of professional electrical contracting services at cost effective prices to businesses throughout Brisbane. If you’re looking for the peace of mind that comes with knowing you’re getting the highest quality workmanship, delivered efficiently with a team that place real value on developing long-term relationships with our clients, then Unified Electrical and Communications would love to work with you. We are the trusted local commercial electrical experts who can be relied upon to turn up on time and leave the premises as tidy as when we arrived and our service guarantee is backed up with free quotations and a 12 month full parts and labour warranty. 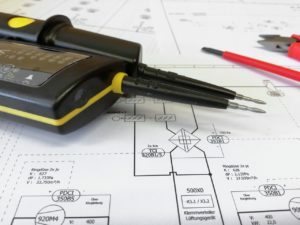 Unified Electrical is the most responsive and dependable commercial electrician in Brisbane who will not only manage all your electrical repairs and maintenance but will ensure your business property is legally compliant. Our experts also ensure that all safety precautions are in place and all the necessary health and safety standards are met.